Down a long and dusty road we travel. Some roads cross with other roads. Sometimes we find ourselves on a lonely dirt road and sometimes we are walking a path paved in gold. This is the road called life. This story begins in Texas. It is about a man who loved to entertain. A man named Johnny Lee. 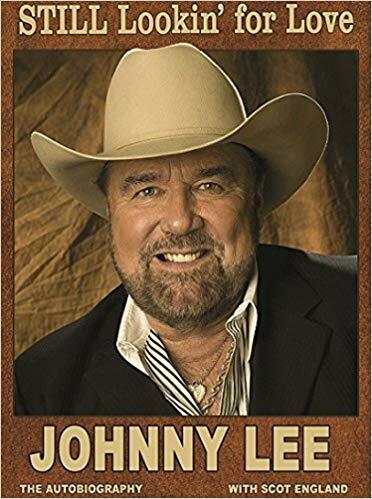 In 2017, country music entertainer Johnny Lee released his tell all book called Still Lookin’ For Love. Johnny takes us on a journey from his humble beginnings as a cowboy working on a dairy farm in Texas to his service in Vietnam. Lee went on to serve four years in the US Navy. Most of which was on the missile cruiser, U.S.S. Chicago. To this day, he still stays in touch with a few of his shipmates. After his service, Lee began working with Mickey Gilley and often performed at Gilley’s club in Texas. Johnny writes about his role and influence in the 1980 hit movie Urban Cowboy. The soundtrack from the movie contained Lee’s signature hit “Lookin’ For Love,” which helped launch his career. He even shares with the readers his take on Eddy Murphy’s version of the song. Johnny Lee’s career reads like a history book on country music. In the book he talks about working with various entertainers. He even starred in a wide variety of television shows including The A-Team and The Fall Guy starring Lee Majors. The book is quite entertaining as it features stories involving the many antics and pranks that were played. Some so amusing that it makes you want to be the proverbial fly on the wall while witnessing such comedic actions. Not all of Johnny’s life has been fun and games. He shares an intimate side of himself as he delves into his relationships. At one point he was married to Charlene Tilton, star of the original Dallas television show. He speaks of their divorce and their continued friendship. He shares the story of his marriage to his second wife, Deborah Spohr and the birth of their son Johnny Jr.. Most importantly, he opens up about the death of his son that made him help launch a battle against the illegal drug epidemic. The man who has racked up 17 Top 40 hits has never been asked to join the Grand Ole Opry. Johnny Lee continues to tour today. Much of his performances are on tour with Mickey Gilley as part of the Urban Cowboy tour. Johnny is currently working on another album. He has already cut five songs with the intention to record five or six more. A release date has not been announced. However, fans can enjoy his current album You Ain’t Never Been To Texas, which is available every where.